Early spring is a great time to think about next year. 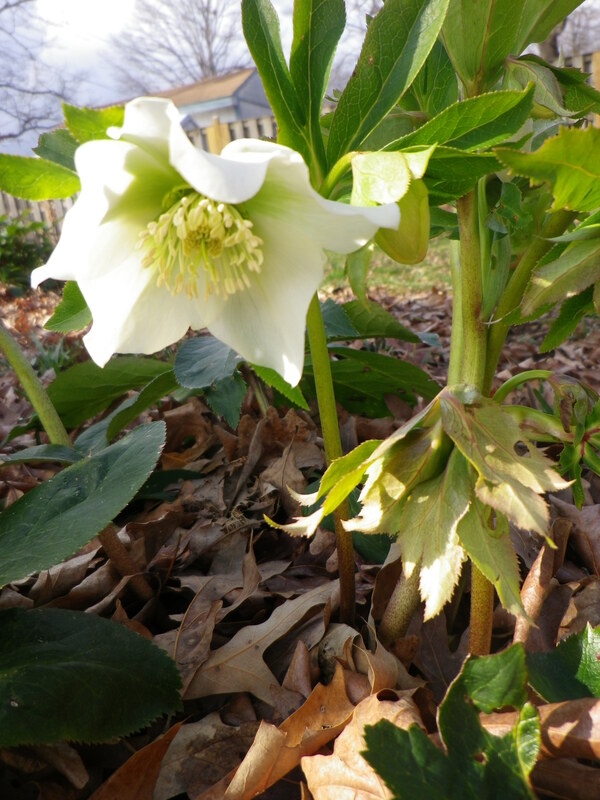 The snowdrops blooming under the hellebores in front were charming: definitely order and plant more around hellebores next fall. 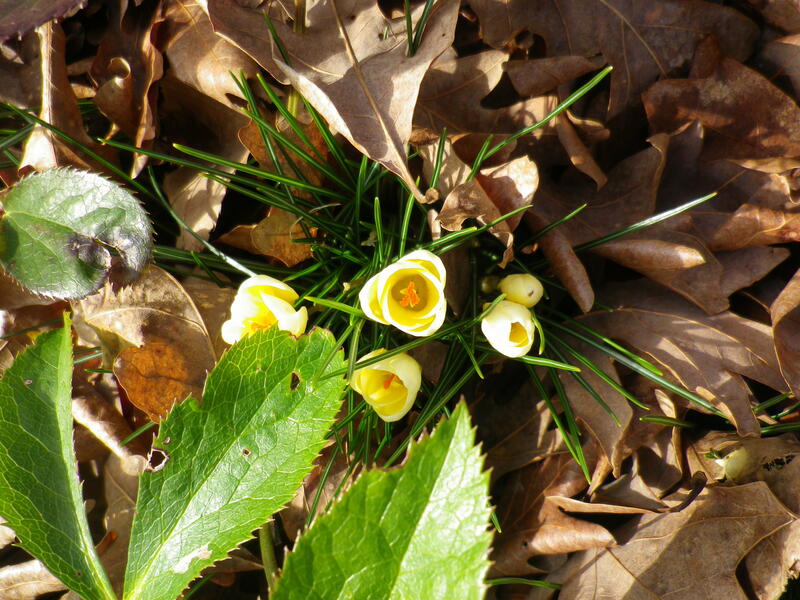 The tommy crocuses really came into their own this year. They love the sun and open up beautifully on a bright winter day. This February photo doesn’t really do their color justice. It would be good to plant more on the far (street) side of the maple tree this fall. 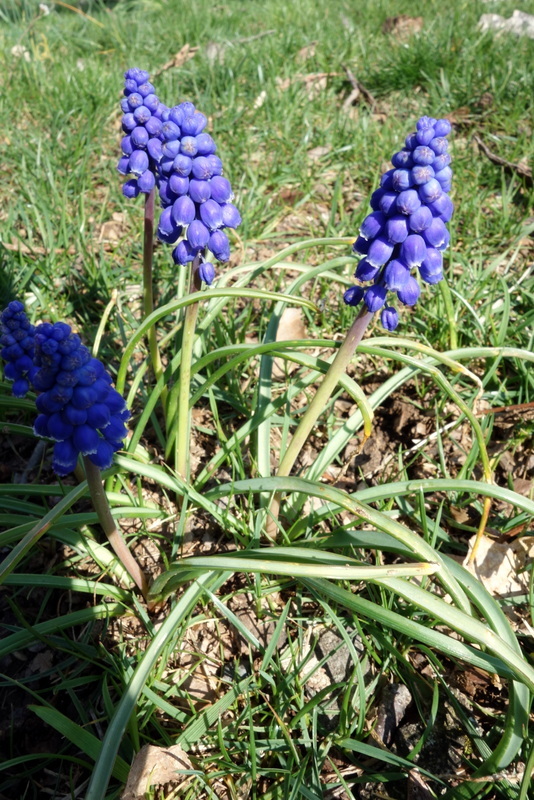 Seeing the brilliant blue of the ordinary grape hyacinth in someone else’s garden reminded me of how lovely they can be, especially en masse. These are some strays near the oak tree. 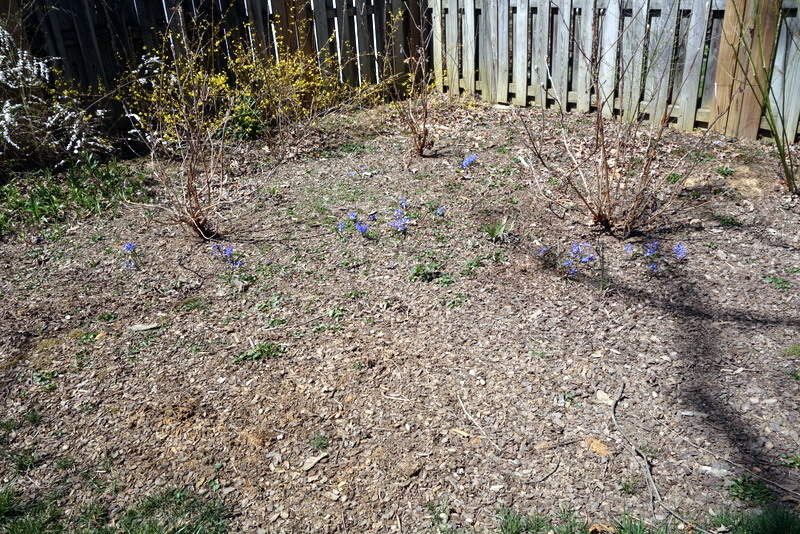 On a related note, the chionodoxa in the back corner is really starting to look like a sea of blue, especially from a hazy distance. 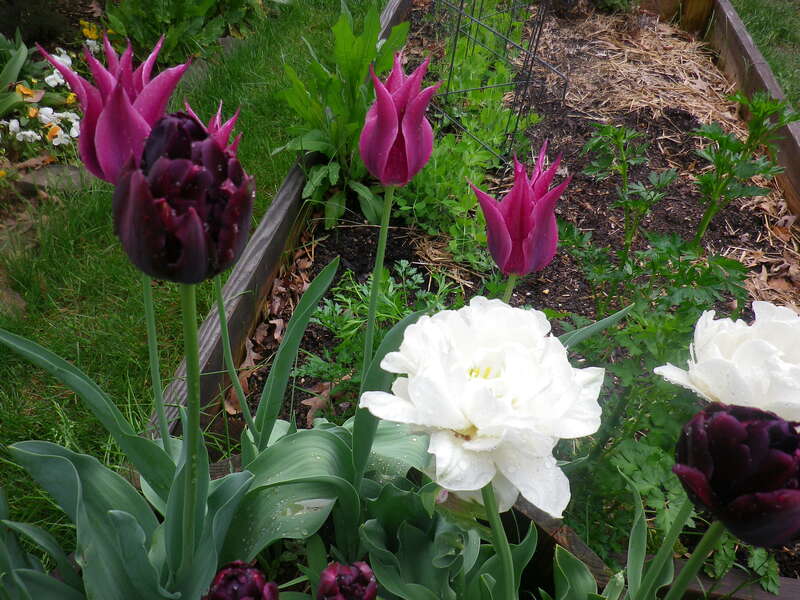 This is not a great photo (click through) but will remind me where to plant them next fall. They’d look great under the viburnums, too. 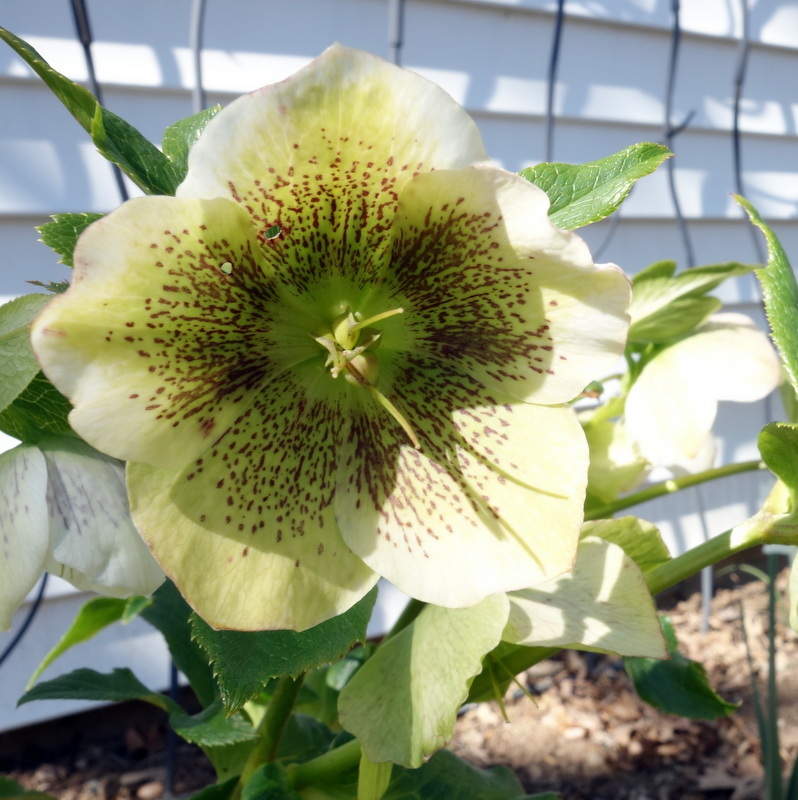 The hellebores have been so lovely this year, and the walkway garden so puny that it occurs to me to move and plant some hellebores along there, especially in the middle where it’s pretty shady. I think they are just the right scale for this small space. Finally, the oak tree garden is, as always, a delight. 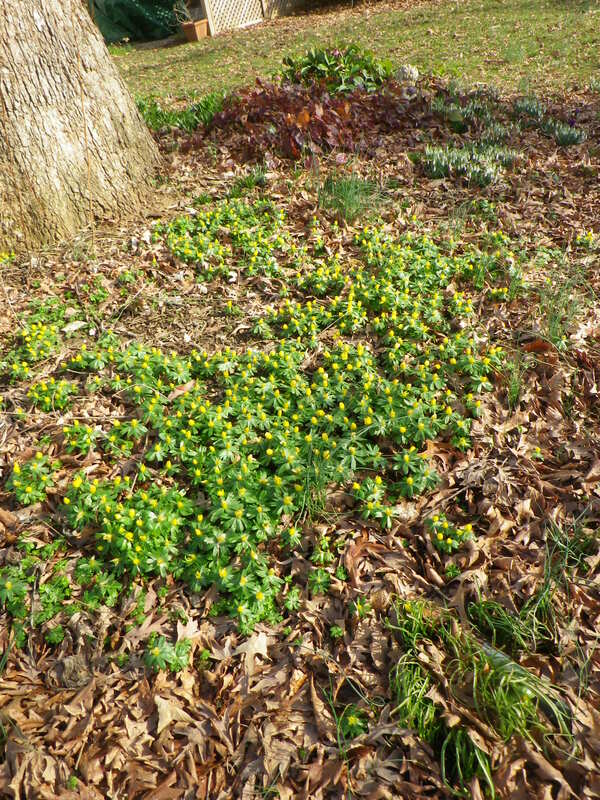 The ever-growing sea of winter aconite has turned into fringed leaves by now. 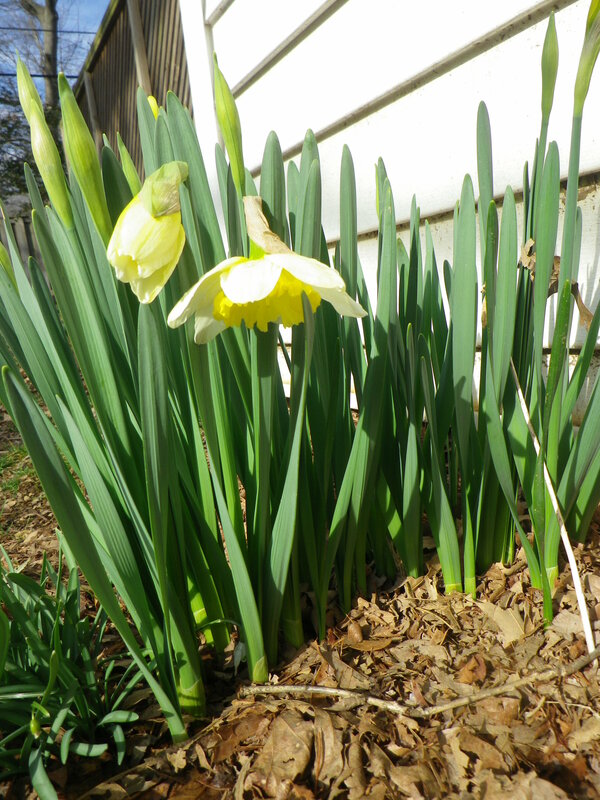 As the daffodils start to bloom on the other side of the tree, it’s a reminder that this side could use some, too. 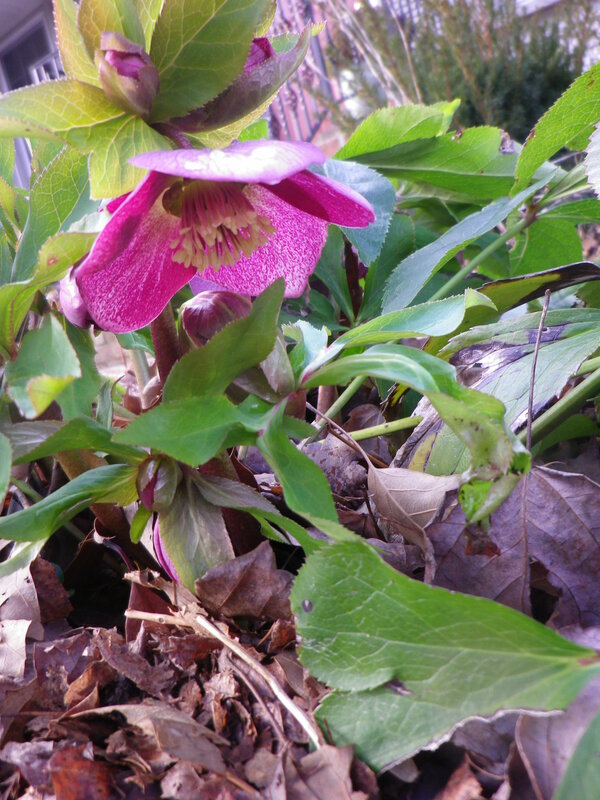 Maybe some little ones to show prettily among the aconite foliage. Blogging about our wonderful trip to Italy and Slovenia seems to have worn me out, but I’m back with some notes on spring. 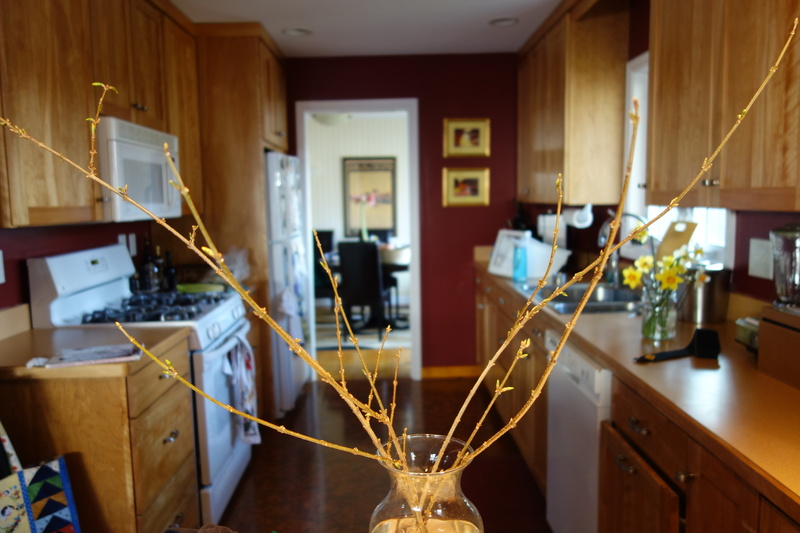 After our return from Death Valley on March 29th (a blog post for another day), I ventured out to find some forsythia to force. None too soon, since a week later it’s in bloom outdoors. 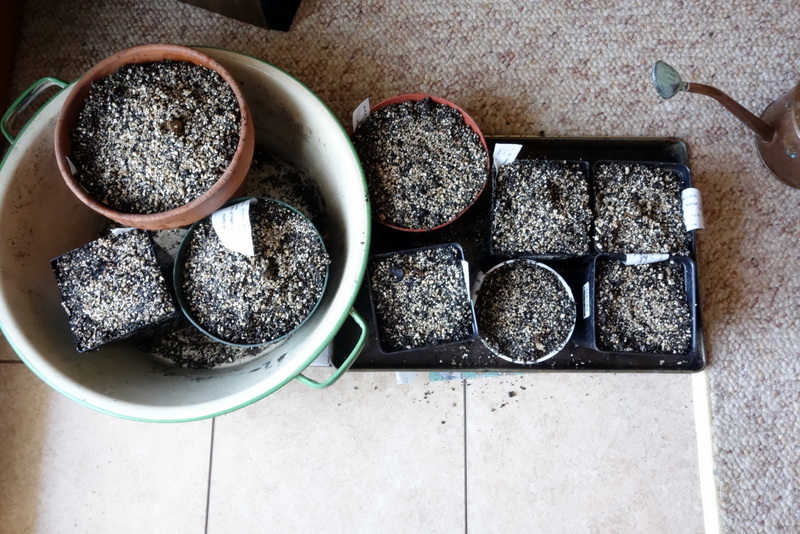 Another indoor project is starting dahlias. I ordered a selection of pinks from McClure & Zimmerman that will go in the pink garden near the Anthony Waterer spirea. Varieties are Otto’s Thrill, Park Princess, Lambada and three Fascinations. They arrived at the very last minute, the afternoon before we were to leave for Death Valley, so I hurriedly swung into action. 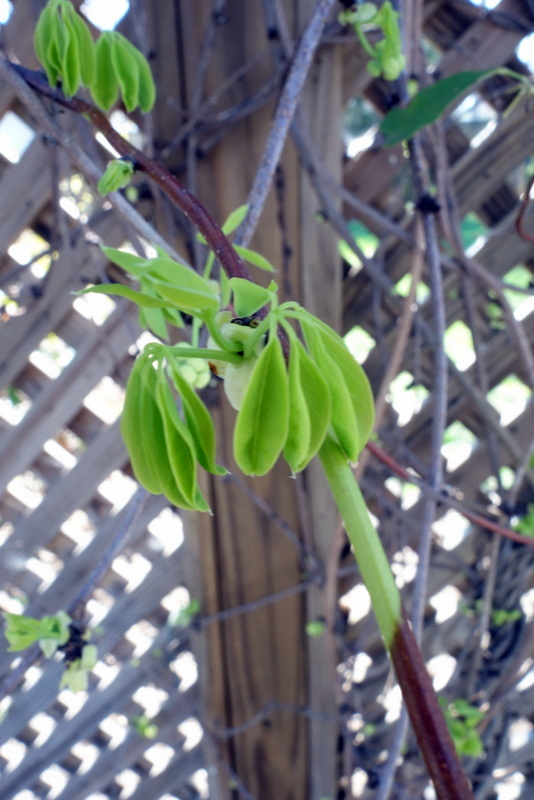 I planted them in a mixture of half vermiculite and half potting soil, in pots that are barely big enough – those tubers are long. Watered, waited, and two weeks later actually looked up how to start them. 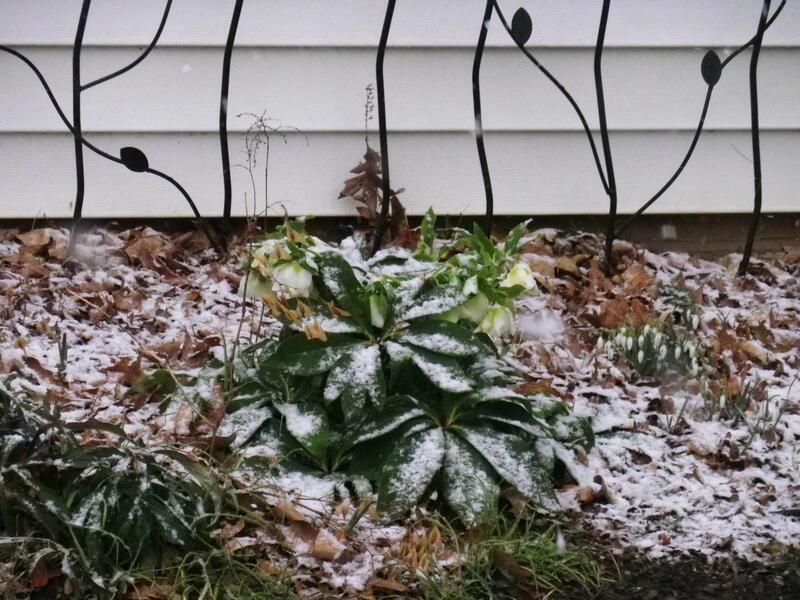 It turns out they need to be covered up and watered sparingly. Trying again, I added more mixture, watered just a bit and am now hoping they will take off. Here’s the experiment. No signs of growth yet, but just you wait. 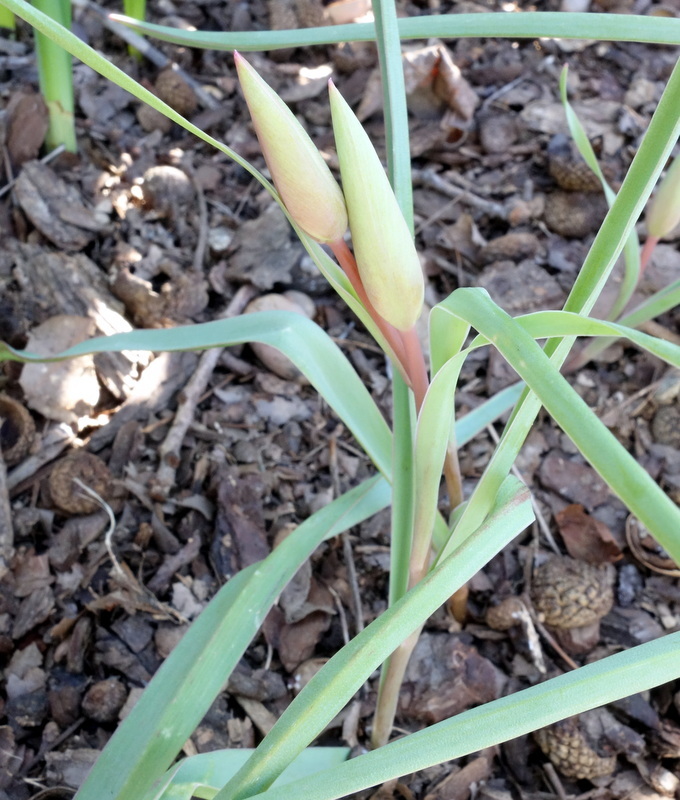 Outside, today is a good day to observe my favorite signs of spring, the plants that are just barely coming in to bud. 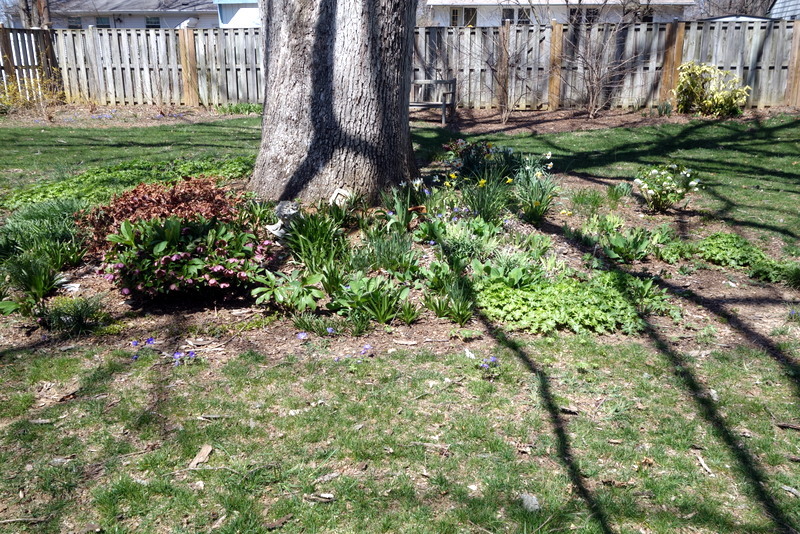 From top to bottom: akebia leaves, buds of Lady Jane tulips, hellebore almost in bloom, and bluebells just starting. Catching up to the fastest spring I’ve ever seen – temps in the 70’s and 80’s for days at a stretch in February, followed by a few days that plunged into the 30’s. 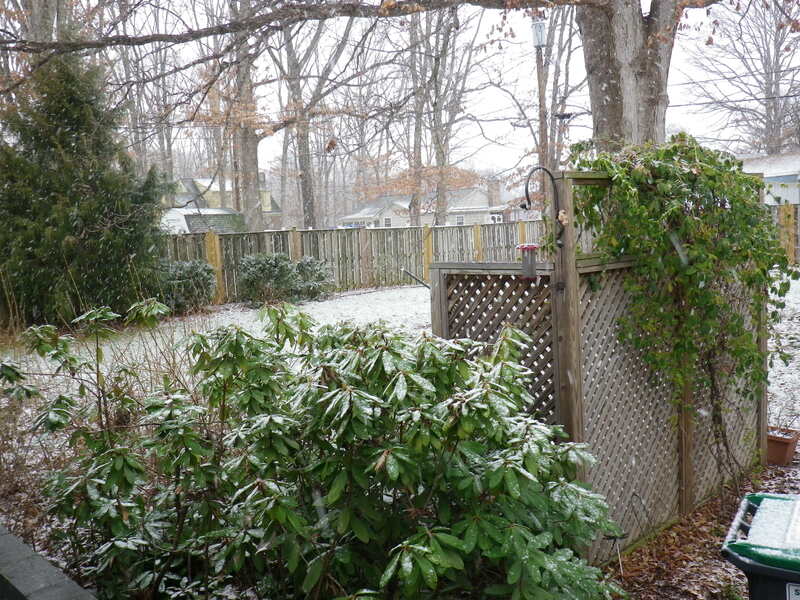 Spring is usually changeable, but this year it was late winter that gave us screwy weather. Everything seems to be blooming at once. 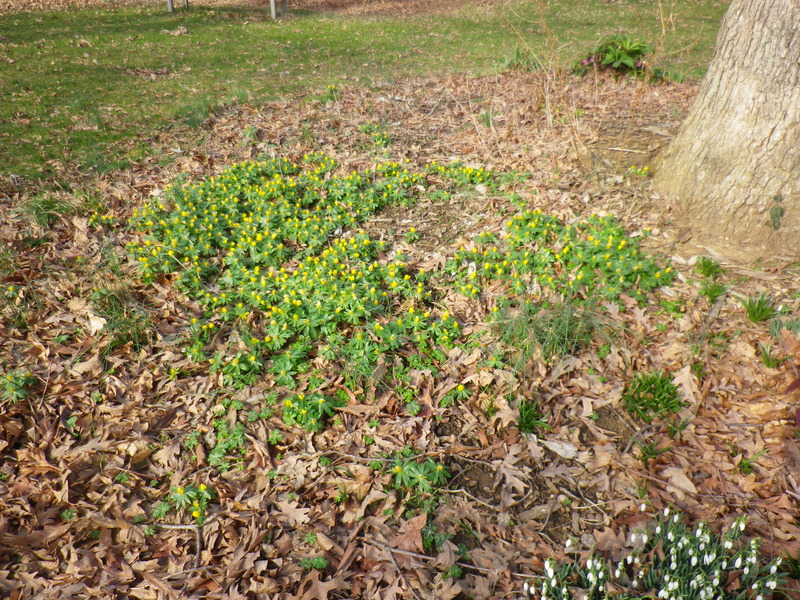 February brings the early bulbs, in my case the sea of winter aconite (thanks, Mom) and snowdrops under the oak tree. 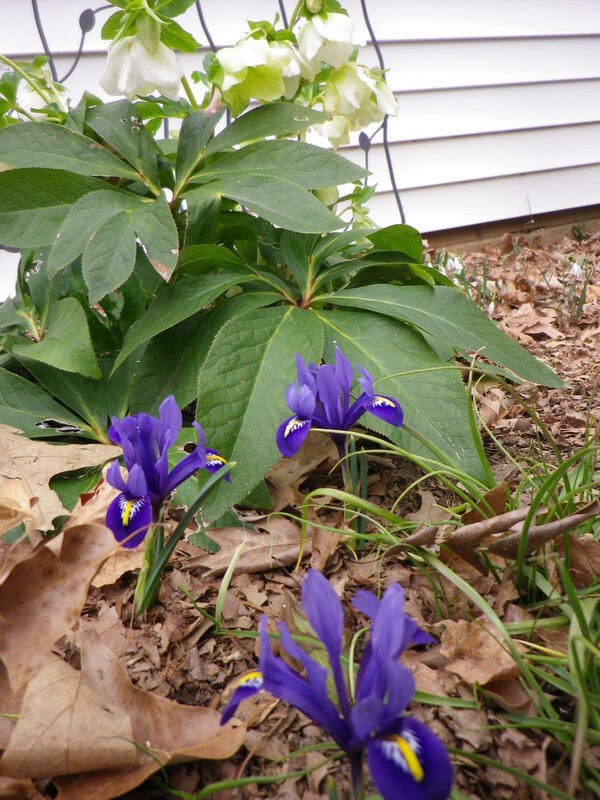 Lots of tommie crocuses under the maple this year, and I’m growing to love them. 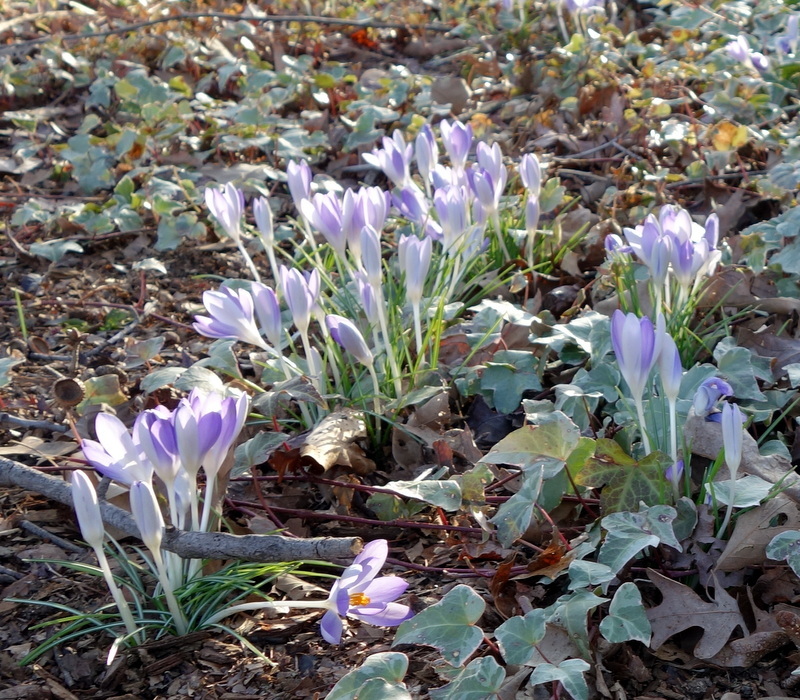 These cream-colored crocuses are another delight. This warm, chalky light yellow is one of my favorites and seems to blend with everything in the garden. Finally, success with crested iris! I think these were a bonus sent with my McClure and Zimmerman order. They don’t last long, but they are beautiful. Need more. 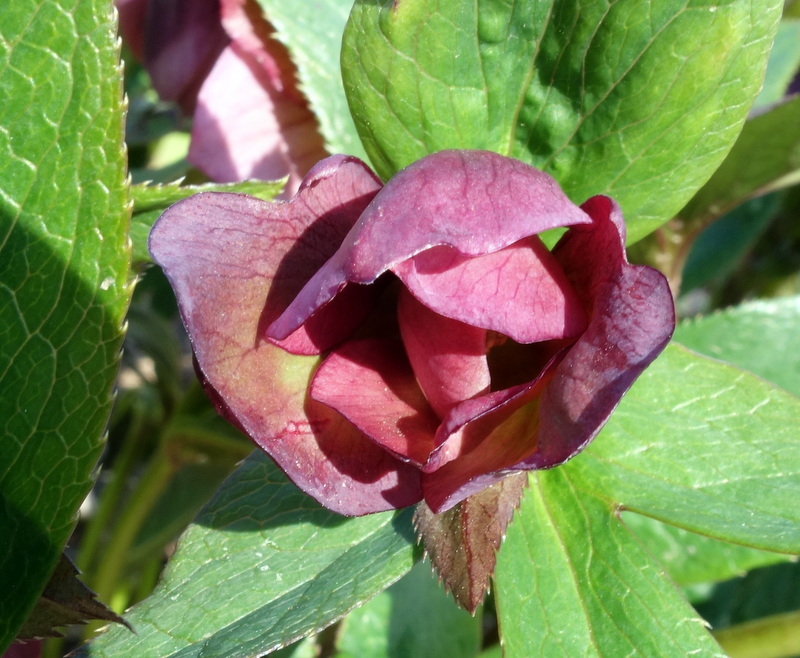 The hellebores have been magnificent this year. Here are a few. Other times it’s the purple ones. The first daffodils are these by the shed door, no idea what kind. And then we had an onion snow on February 12th, one of the few snows we had this season. I read somewhere that we had only 1/10 of an inch all winter! Pretty while it lasted, but it was gone by noon. 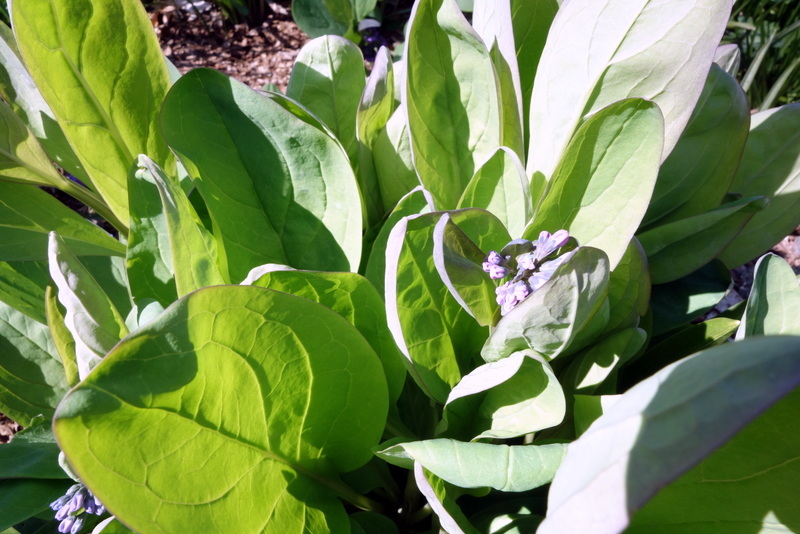 Emma Townshend recommended this elegant mixture, dubbed “In the still of the night,” in an article last fall. I put them in a less-than-elegant spot, at the end of my raised vegetable bed, but I’m happy with the combination. It’s time now to pull them all out and save them in the garden for next year.